A marketing communications company based in Winnipeg, Manitoba, TKM Inc. has been serving the communications needs of a variety of clients since 1991. Working with a talented team of writers and designers, TKM has managed a number of exciting and diverse projects and has delivered effective campaigns utilizing all media. Led by President, Trevor Kennerd, TKM provides customers with strategic planning, design, writing, media planning, media buying, public relations, and web and social media solutions. After a career in professional sports (Winnipeg Blue Bombers), Trevor applied his education in business administration and marketing and experience working in advertising and public relations in the development of a firm specializing in branding/marketing communications. Concurrent with his professional football career, Trevor developed his marketing communications skills serving as an account manager for Wordsnorth Communication Services in Winnipeg. He handled a variety of client assignments, including CN Rail, Loewen Windows, Manitoba Pork, The Forks Market, Barkman Concrete and various departments of the Province of Manitoba and the Government of Canada. Prior to that, he was a media advertising consultant soliciting major accounts on behalf of two print publications. Trevor is very much involved with family and the community. He has served as a member of the Winnipeg Blue Bombers Board of Directors; as Honourary Colonel, 435 Transport, Search & Rescue Squadron, 17 Wing; and currently is the Communications Chair for the Manitoba Motorcycle Ride for Dad. 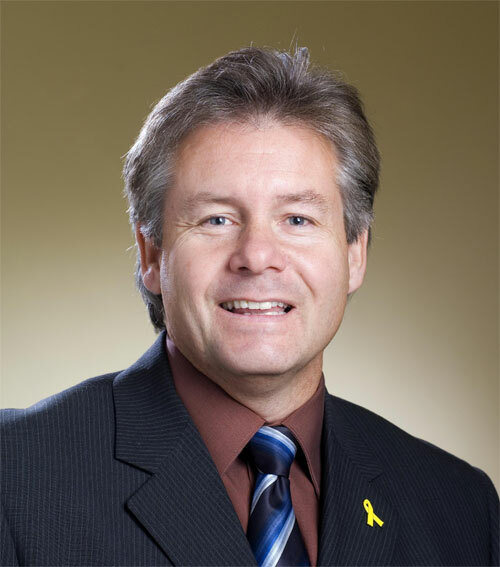 He has also served as President of the Winnipeg Blue Bomber Alumni; Communications Chair for the Lieutenant Governor’s Youth Experience Program; member of the United Way’s Campaign Cabinet; Vice-President, Marketing, Western Canada Summer Games; member, Queenston School Gym Committee; and coached a variety of sports.